Ladies and Gents, start your engines, pop on a helmet, ding those bells. GET READY TO RACE! There is a BRAND NEW Grand Prix themed playground and it is just made for riding. 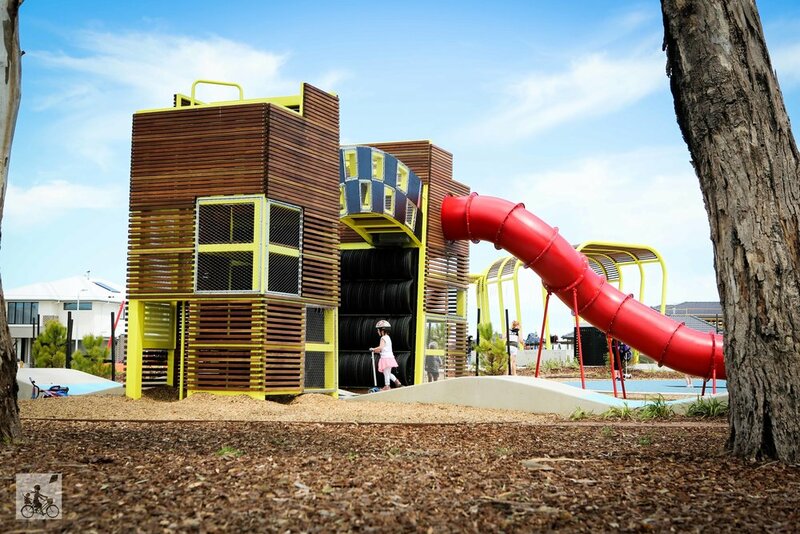 Whether your crew are into scooters, bikes, trikes or heck, just running, they will love this playground at Berwick Waters in Clyde North. 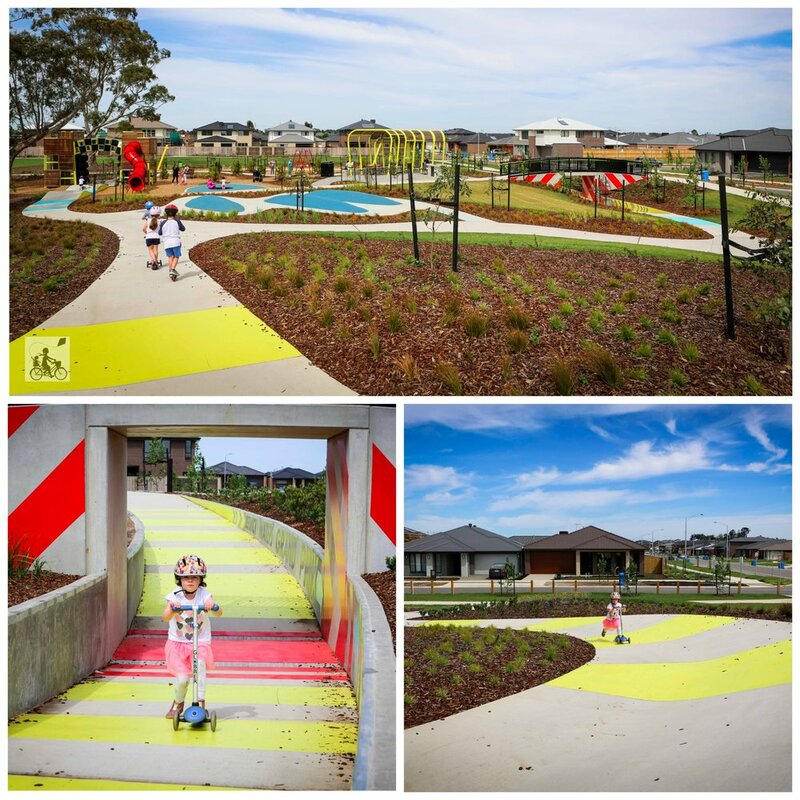 The yellow racing track, complete with bending corners, wicked overpass and funky humps, is the standout feature of the play space. Mamma lost count on how many laps were completed as the kids just wanted to keep going and going. It is so simple and so effective. The course is designed well to build up speed then slowing the kids down just before they hit the corners. Also to be explored is the finishing-line play structure. This twin tower frame is super narrow to get to the top but has hidden bells and a great tunnel slide at the end. We also love having a jump on the inbuilt trampoline, a flying fox and swing set. Mamma’s special mentions: Need refuelling? Head to Deoro and Co.